Since putting up my post titled Obscurity is a Valid Security Layer back in 2009 I have had all manner of discussions about whether or not obscurity adds, takes away from, or has no effect on security. The post recently made its rounds Hacker News and Twitter, and Robert Graham dedicated a post to explaining why I’m wrong about it. I don’t know Robert personally, but I know of his reputation. He’s a very smart guy who’s done tremendous things for the industry and who tends to put together very strong arguments. It may be for semantic reasons—meaning we might actually agree once they’re out of the way—but the position in his response was flawed. This post keeps popping up in my timeline. It’s wrong. The phrase “security through/by Obscurity” has become such a cliché that it’s lost all meaning. When somebody says it, they are almost certainly saying a dumb thing, regardless if they support it or are trying to debunk it. Ok, this sounds like his issue might be a purely semantic one, which, if that were his only argument, I might agree with. It is the reason I’ve titled this post Disambiguation of “Security by Obscurity”—because the terms themselves are injecting confusion. Let’s go back to first principles, namely Kerckhoff’s Principle from the 1800s that states cryptography should be secure even if everything is known about it except the key. In other words, there exists no double-secret military-grade encryption with secret algorithms. Today’s military crypto is public crypto. First of all, I believe it’s somewhat accepted within the security community that while the Military may use AES and other public standards, organizations like the NSA have their own algorithms, and they’re not public. Maybe I’m wrong about that, but it doesn’t matter that much to the argument. Let’s continue. Let’s apply this to port knocking. This is not a layer of obscurity, as proposed by the above post, but a layer of security. Applying Kerkhoff’s Principle, it should work even if everything is known about the port knocking algorithm except the sequence of ports being knocked. The fundamental mistake he’s making here, which is the same one that so many others make, is thinking that obscurity and security are fundamentally disconnected. So we can lower risk by reducing the probability of being effectively targeted and attacked, or we can lower risk by reducing the impact of an attack that does succeed. Now let’s talk about the world “Obscurity”. As I said, it’s a word that means different things to different people, and for that reason it tends to be a bad word to use in explanations and discussions. So I’ll take the hit on that one, and I’ll try to repent by creating this post. 1) Indistinct to the sight or any other sense; not readily seen, heard, etc. 2) Inconspicuous or unnoticeable. That’s what obscure means, and what obscurity is, when dealing with most types of military or information security. It equates to a very simple, and very powerful lever in the risk equation: lowering the chance that you will be successfully attacked. That means lowering probability in the risk equation, which means improving the security of the system. This applies to a well-camoflauged (but otherwise identically armored) tank on the battlefield, it applies to a secure SSH daemon running on an alternative port, and it applies to a secured web server protected by port-knocking. If you haven’t otherwise lowered the security of the system in some way, but you make the target less likely to be targeted and/or successfully attacked, you have improved its security. It’s obscurity, and it provides security. Or, sniffing at the local Starbucks, I might observe outgoing port knocking behavior, and know which sensitive systems I can attack later using the technique. Thus, though port knocking makes it look like a system doesn’t exist, this doesn’t fully hide a system from me. The security of the system should not rest on this obscurity. This was the entire point of my previous post—that it shouldn’t rely on obscurity, but that used as a layer it does improve it. Not sure how he missed this. Instead of an obscurity layer, port knocking is a security layer. The security it provides is that it drives up the amount of effort an attacker needs to hack the system. Ok, now I’m confused. Are you saying it is or is not a security layer? By driving up the cost to attack the service you raise security, which is accomplished by making it harder to find you and attack you (see tanks, SSH daemons, port-knocking). The above post also discusses ssh on alternate ports. It points out that if an 0day is found in ssh, those who run the service on the default port of 22 will get hacked first, while those who run at odd ports, like 7837, will have time to patch their services before getting owned. But this is just repeating the fallacy. It’s focusing only on the increase in difficulty to attackers, but ignoring the increase in difficulties to friends. Hold on. We’re talking about whether we’re adding security, not the tradeoff between security and usability. Don’t cross the streams. Let’s say some new ssh 0day is announced. Everybody is going to rush to patch their servers. They are going to run tools like my masscan to quickly find everything listening on port 22, or a vuln scanner like Nessus. Everything on port 22 will quickly get patched. SSH servers running on port 7837, however, will not get patched. First, you don’t patch SSH on ports, you patch SSH. You stop the service, patch, and restart the service, and when it comes back up it’ll be running on whatever port(s) that was running on before. It’s pretty easy to check lsof or netstat on the boxes in your environment to see what ports the daemon is bound to. And if you don’t have that information, because your service/asset management equates to “zmap all the things and patch what you find”, then you are already screwed for a different reason. On the other other hand, Internet-wide scans like Shodan or the 2012 Internet Census may have already found that you are running ssh on port 7837. That means the attackers can quickly attack it with the latest 0day even while you, the defender, are slow to patch it. Hold on, who is the attacker here? Who are we defending against? Are we defending against someone who’s harvested Shodan for all custom SSH ports on the Internet, and who attacks those custom ports with 0days at the exact same time as they attack everyone else on port 22? When the threat isn’t a mass-0day with a short lifespan directed at millions, and someone is specifically targeting your organization, you have bigger issues than what port your SSH server listens on. This is especially true if you’re not sophisticated enough to know what boxes run what services without doing a live discovery scan every time you need to patch. The key point is that when you “increase attacker effort” to find you, to target you, or to attack you, you improve your security. Period. The cryptography case that Kerckhoff’s Principle addressed (which hijacked the “obscurity” term and created mass-confusion on this topic) was a very specific and stupid case where one creates a security system based entirely on a secret, which, once revealed, compromises everything. That’s not generic “obscurity” as is used all throughout various security disciplines; that’s a dumb design for a crypto system. 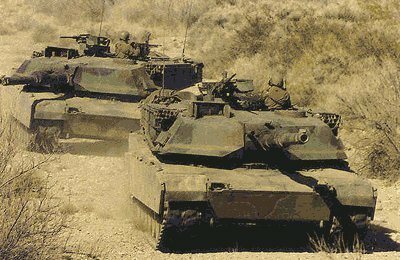 To make the point more clear with the tank example, imagine hearing the following argument from someone criticizing the “obscurity” of using camouflage on M1-A1 tanks in the desert. So here’s the thing, everyone knows how this camouflage is done. It’s just paint! And if I shot rounds at every possible place in the desert within 5 miles, I’d eventually hit the tank. So, yeah, they made it way harder to target them, but they shouldn’t rely on that for security. Brilliant, except they’re not relying on it. It’s still an armored tank. And we’re not relying on being on another SSH port either, because it’s a patched and hardened server that only accepts internal CA certificates for authentication. All we did is increase the cost to the attacker of attacking us, which lowered the probability that we’d be attacked, which reduced our risk, which made us more secure. And we did it by making ourselves more obscure. Anyone who has trouble with this concept should imagine being an armored solider in a sniper area. In scenario 1 you’re wearing an orange safety vest, and in scenario 2 you’re using a cloaking device that makes you invisible. Have you lowered your risk by using the cloaking device? Have you raised it by putting on the vest? They’re just making it more difficult to know where the target is—they haven’t added any actual security! It’s just obscurity! Someone should explain that to the Secret Service who, according to this argument, have been wasting all those extra motorcade limos for no reason. In fact, might as well throw out all of OPSEC—that’s just obscurity too. Look, Robert wrote BlackIce when I could barely ping an IP address. I am standing on his shoulders as one of the pioneers in this industry, and he could no-doubt still teach me a million different things. This just isn’t one of them. He got this one wrong, and that’s ok. You should see the time that I argued we should drop the “www” subdomain. I do agree that the term “Security by/through Obscurity” has too much baggage to be used effectively in discussions. I am looking for a better way to describe making it difficult to target you. I thought about “Ambiguity” or something similar, but I haven’t found a good one. Who knows, maybe “Obscurity” really is the best word, and we need to untrain the Kerckhoff / crypto case as an automatic response. I remain agnostic as to the best way to solve the semantic problem. Regardless of what it’s called, making it harder and/or more costly to effectively attack you definitely improves security.